Ryanair, Poland’s No.1 airline, today (5 Sep) launched its biggest ever S 2019 schedule, during which it will base 2 new aircraft at Modlin and Krakow, and add 17 new routes, with 210 routes in total, which will deliver 12.5m customers p.a. through Ryanair’s 13 Polish airports next year, as Polish traffic grows 4%. Over 9,000* “on-site” jobs p.a. Ryanair’s charter airline, Ryanair Sun, continues to grow strongly, carrying 700,000 customers in S 2018 season while currently negotiating a wider charter programme for S 2019 with Poland’s leading tour operators. 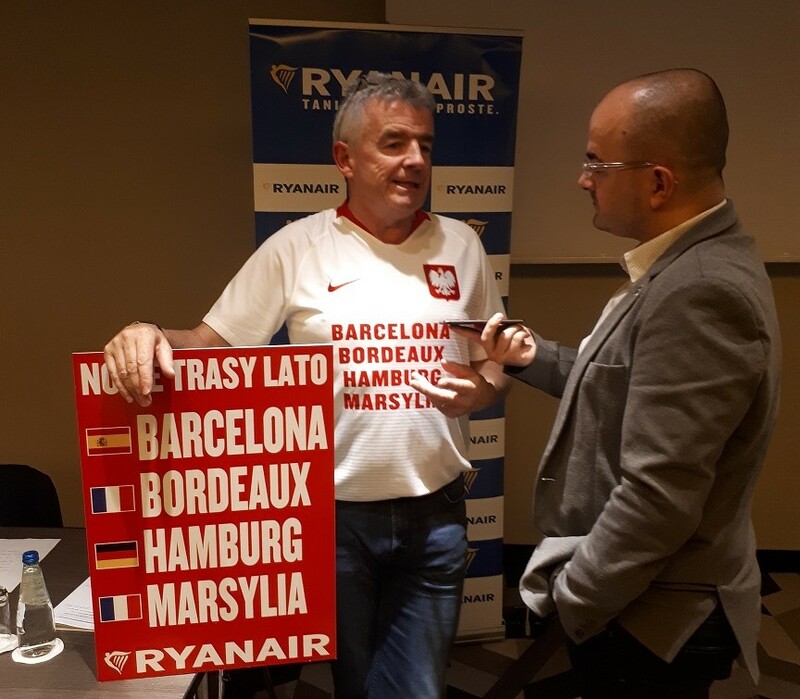 “Ryanair is pleased to launch our biggest ever Poland S 2019 schedule with 210 routes, including 17 new routes to exciting destinations such as Barcelona, Bordeaux, Hamburg and Marseille. Our S 2019 schedule will deliver 12.5m customers p.a. to/from our 13 Polish airports, all at the lowest fares, as we continue to grow Polish routes, traffic, tourism and jobs.